Austria tied its colours firmly to the Blaufrankisch mast yesterday, picking out the variety as its strongest ambassador to build the country’s reputation as a serious red wine producer. Chaired by the drinks business and hosted by the Institute of Masters of Wine, the round table discussion brought together expertise from across the trade to establish the quality and identity of Blaufränkisch, together with its future potential in export markets. 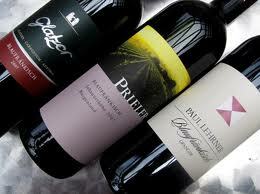 There was universal agreement at the table that Blaufränkisch was the only viable ambassador for Austria’s red wines. In terms of production levels, only Blaufränkisch and Zweigelt have a sufficiently large presence to justify a concerted export focus. Since 1999, Austria’s plantings of the variety have increased by 22%, as part of a steady increase in the overall proportion of the country’s red wine production, which now stands at 35%.